ChildCare Education Institute’s (CCEI) Master Professional Trainer, Laura Anderson, is registered with Texas Early Childhood Professional Development System. Because of this, CCEI training is accepted by the Texas Child Care Licensing Office to meet up to 80% of annual in-service training requirements. For additional information regarding the approval of CCEI’s coursework in Texas, contact the Child Care Licensing Office at 800.862.5252. CCEI’s coursework is approved by the Texas Education Agency (TEA), Division of Educator Standards, and State Board of Educator Certification (SBEC) to provide continuing Professional Education (CPE) credit for public school educators to renew their standard educator certificate in the state of Texas. CCEI’s Texas Director’s Certificate and Texas Director’s Certificate Renewal programs have been approved by the Texas Department of Family and Protective Services, Child Care Licensing Division as meeting the requirements of a day care administrator’s credential. CCEI, in partnership with Frog Street, LLC, offers a 100 clock hour hybrid program designed to provide professional information for early childhood professionals seeking to further their skills and knowledge in the management of a child care center. It is a comprehensive course related to child care business and administration, designed to strengthen business practices, and provide improved quality of child care services. The Texas Child Care Administration and Business Practices Certificate program is provided at no cost to child care management and staff who are employed and recommended by eligible Texas Rising Star (TRS) child care providers, including but not limited to owners, directors, managers, supervisors, and their staff selected by the child care center director. Priority of enrollment is given to employees of 3- and 4-Star rated TRS providers, and then employees of 2-Star TRS rated providers. For more information and/or to enroll in the program follow this link or contact CCEI Admissions 1.800.499.9907, ext. 575, Monday – Friday, 8 a.m. – 5 p.m. EST. Texas Rising Star Quality Rating and Improvement System accepts CCEI coursework training to satisfy 50% of their required annual training hours. Explore the CCEI course catalog and enroll online now. 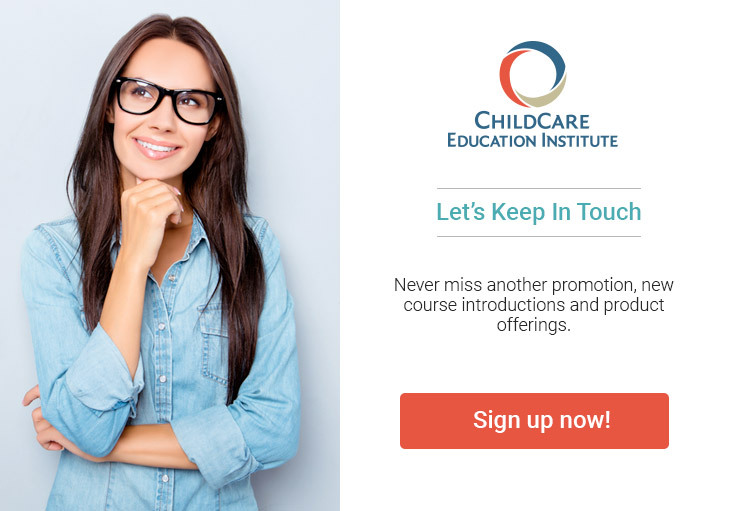 Contact a CCEI Admissions Representative at 1.800.499.9907 or visit the Contact Us page with questions or for more information about our child care courses and certificate programs.